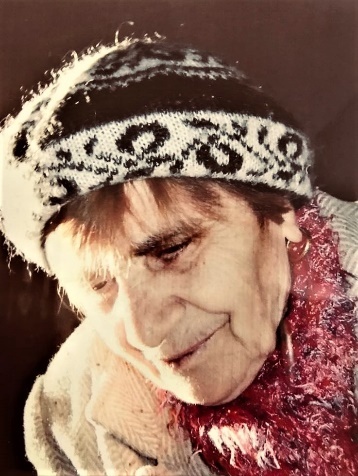 Obituary for Florina (Giancola) Ucci | Nardolillo Funeral Home, Inc.
91, of Cranston passed away peacefully on the morning of Monday, September 3, 2018. She was the beloved wife of the late Giulio Ucci. Born in Forestadi Cerro al Volturno in Italy, she was the daughter of Guerino Giancola and Maria Paolone. Florina lived in Italy until 1958 when she came to the United States, along with her daughter, to join her husband (Giulio had come to the U.S two years earlier) and settle in Rhode Island. She learned English from scratch, made good friends and worked industriously at home and as a member of the International Ladies Garment Workers Union. She was a dedicated gardener and an even more passionate chef who never tired of sharing Italian food and traditions with family and friends at every opportunity.She promoted Italian heritage as a board member of the Festa Italiana Society for more than 30 years. Florina also returned many, many times to Italy to tour extensively in the country she loved and to be with family and friends. She is survived by her loving daughter Veronica, son-in-law Fred, dear granddaughters Lisa and Andrea, to whom she was “Nonna”, and good friends and neighbors. She is also survived by her brother Filiberto of Cerro al Volturno, brother Antonio of Rome, and sister Pia, of Castel di Sangro and Pescara. Her extended family in Italy live in Padova, Rome, Pescara, Castel di Sangro, Venafro, Fornelli and Foresta di Cerro al Volturno. In Fornelli, she is survived by her late husband’s relatives: the Ucci, di Carlo and Lancellotta families. A Mass of Christian burial will be celebrated at Immaculate Conception Church, Garden Hills Drive, Cranston at 10:00 am on Saturday September 8th. Entombment will follow at St. Ann Cemetary, St Joseph Mausoleum also in Cranston. In lieu of flowers, memorial contributions may be made to the Immaculate Conception Church, 237 Garden Hills Drive, Cranston, RI 02920-3429.